A lot of players like the Peavey Classic 30 tube amplifier, and for good reasons; it looks cool and vintagey, an amazing amount of sound comes out of a fairly compact package, and its bang for the buck is hard to beat. • The C-30's clean tones are for the most part very usable, and with the internal overdrive switched off, the amp is very pedal friendly. • Unlike most other modern amps with built-in variable overdrive capability (usually given the misnomer of "channel switching"), the edge, dirt, and aggression tones on tap in this pint sized portable powerhouse are among the best ever packed into a production amp. • The EQ section is well engineered and has a wide enough range of tone-shaping to suit most musical styles. • The spring reverb, although a bit gritty when turned up to max, is still miles better sounding than any digital 'verb emulation. • The excellent quality stock Peavey-branded Eminence made 12" speaker is toneful and efficient, and makes the most of the available power coming out of the four EL-84 output tubes - in fact, the C-30 is plenty loud enough for most rehearsal and smaller gig situations. Overall, the Classic 30 is a versatile and affordable audio tone tool for the average budget-minded guitarist. Between its on-board OD/distortion and the very flexible equalization, it's a good fit for almost any guitaristic style or genre - so what's not to like? 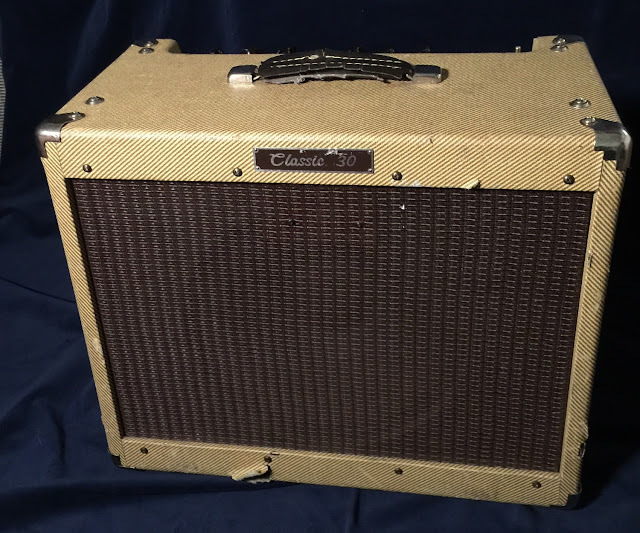 The Classic 30 is surprisingly hefty for its size, and one might think that's due to a heavy gauge amp chassis and substantial transformers. But the transformers in this amplifier are fairly petite, and the chassis lightweight. The Eminence speaker, with its large magnet, contributes to the overall weight, but much of the C-30's poundage is due to its cabinet, made of some sort of inexpensive lumber industry by-product material. A particle/osb/whatever cabinet will weigh more than double what a comparable cab made of solid pine or quality plywood will, and the C-30, although small, is a weighty piglet. On the plus side, the C-30's cabinet does have real chromed steel corners. 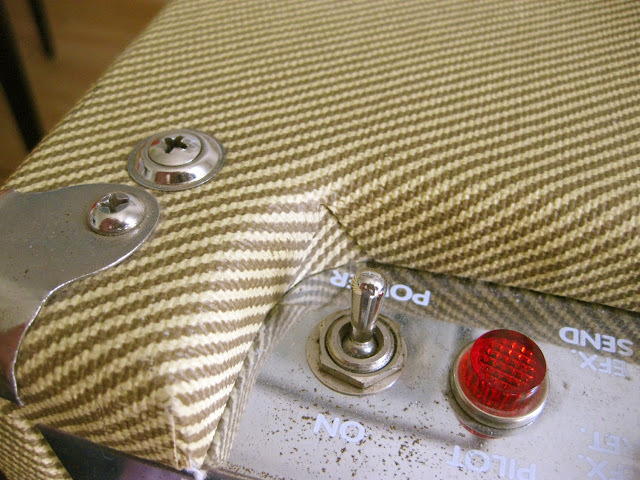 And although the cab is wrapped in vinyl imitation tweed covering instead of actual woven cloth, it might be (possibly, maybe) more durable than real tweed. Or maybe not. As can be seen above, there's no upper panel on the back of the Classic 30 to protect the tubes. Dumb. The tubes are totally at the mercy of whatever stray objects happen to be near the amp, whether a ballistic drum stick or carelessly placed guitar case, or an inquisitive puppy or toddler. Besides no upper back panel, there also isn't a removable lower panel to facilitate taking out the reverb tank during repairs, which makes servicing all the more awkward, since the 'verb pan is connected via an umbilical directly to the circuit board, with no external jacks. 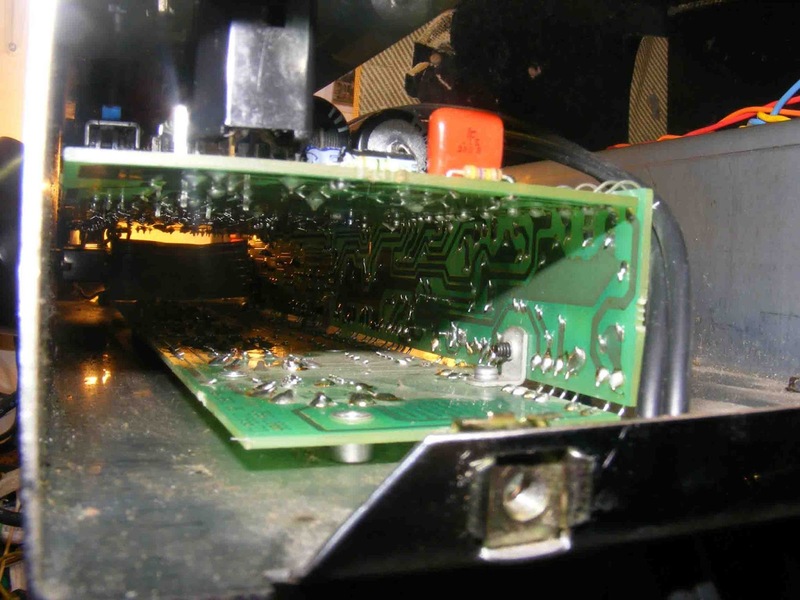 In order to work on the Classic 30, all the control knobs need to be taken off, the pots loosened from the control panel, and the folded PC board assembly completely removed from the chassis. A potential trouble spot in the C-30 is the series-connected output tube filament heater circuit. 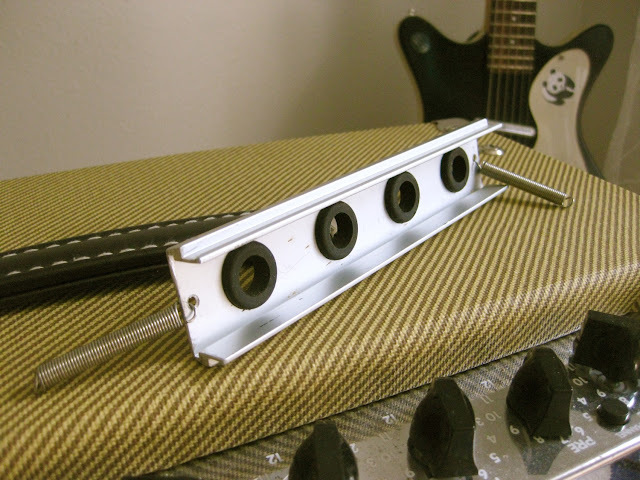 Rather than having the traditional and rock stable 6.3VAC parallel heater string, as used on millions of tube amplifiers for almost a century, the Classic 30's series connected heaters have the four EL84 output tube filaments connected in line, with each of the tubes forced to handle the entire current draw on the 24VAC supply. Since an EL84's heater draws a nominal 760mA of current, the four-tube series filament circuit has over 3A of current flowing the string, for a whopping 73 watts of AC power running through each and every output tube filament. This design might have a negative impact on tube life, and may be one cause of tube socket terminals separating from their PC board traces. 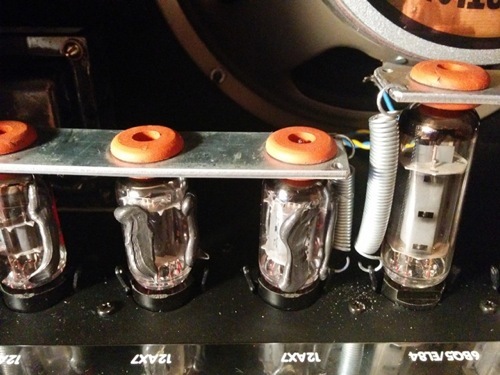 The three 12AX7/ECC83 preamp tubes have a similar series-connected heater filament string, on a +36VDC supply. Presumably, this is a cost cutting measure, rather than having a separate 6.3VAC filament tap on the power transformer, like the vast majority of tube amplifiers. In the C-30, one 24VAC tap provides two heater circuits, one AC and another DC, a -14VDC supply for output tube biasing, and -15VDC and -30VDC supplies for the ICs and transistors in the amp, through a power supply sub-circuit of diode rectifiers, dropping resistors, and filter capacitors. 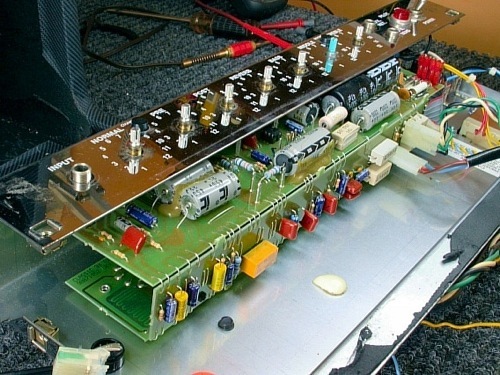 The same reliability issues may apply to the preamp heaters, as they do for the output tubes. It's commonly thought that the thin springy-wire tube clips on the C-30 don't secure the upside-down output tubes very well. However, that's true mostly for the JJ brand EL84, which have smaller than standard diameter socket pins. And since JJs are the most popular replacement EL84, that could be another issue for the Classic. Other 9-pin output tubes, such as vintage US-made 6BQ5, and the stock Russian 6P14P, also known as Sovtek EL84, have standard size pins, and don't have that problem as much. Note: The same issue applies to the Fender Blues Junior. With a pair of Sovtek EL84, the Junior can be run without its stock U-channel tube retainer in place, but with the smaller pinned JJ EL84, neglecting to install the holder can result in noisy operation or a non-working condition, and sometimes arcing occurs within the socket. 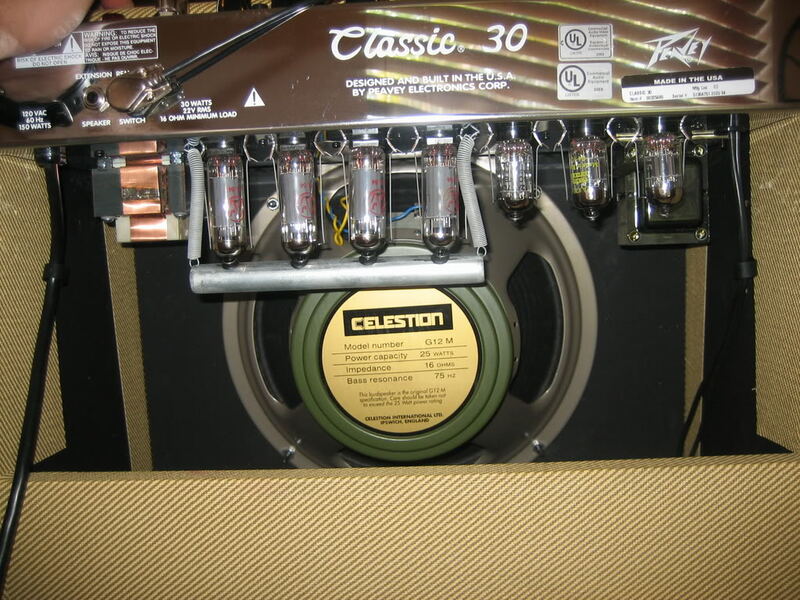 While troubleshooting and repairing a nice older Classic 30 that was experiencing problems, I concluded that some of the C-30's tube issues can be avoided by the use of Russian made military spec tubes, which were standard issue on this particular amp when new. Long before state funded online troll factories, cyber attack and hacking facilities, and compromising other nation's elections became Russia's biggest new growth industries, they used to manufacture military equipment, a lot of it. And the vacuum tubes developed there in the 1950s and '60s for use in the electronics installed in their aircraft, ships, and tanks were, and still are, among the most rugged, dependable, and resistant to abuse tubes ever made. Luckily for guitar players world wide, those Soviet era mil-spec tubes are still being made, and sound pretty good, too. It is a little freaky, though, to be buying stuff from people who have thousands of nuclear tipped missiles pointing at everyone all over the globe, ready to launch at a moment's notice. Talk about high pressure sales tactics. Uh, sure Comrade... I'll buy some tubes from you. Just don't kill me, okay? This Peavey Classic 30 exhibited some of the same symptoms mentioned above: it was noisy, didn't sound very good, sometimes stopped working entirely, and at times arcing could be heard, in the form of a sharp snapping noise coming from two of the output tube sockets. 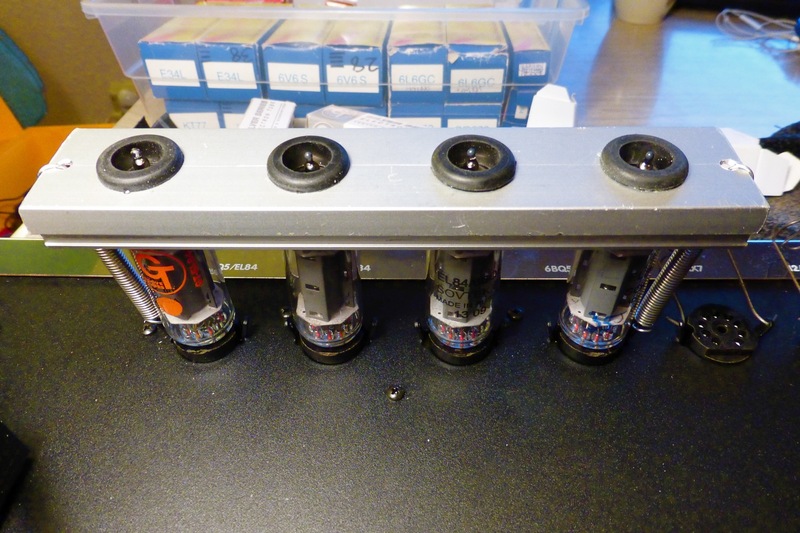 As well as having output tube problems, this amp also seemed to go through preamp tubes. It arrived with only two out of three 12AX7, and within a few days one of those went south, as well as one of the two that I'd put in as replacements. The output quad in this used amp was a mixed bag: a pair of the original 6P14P, and two unmatched JJ El84, the newer one of which tested out on my Precision Instruments tube tester as being almost dead. Not coincidentally, the two tube sockets where arcing occurred were those in which the JJ EL84 were installed. The last time arcing occurred, the amp started smoking, a lot. How much was it smoking? Like a tourist from Idaho doing the Eugene legal weed dispensary tour, that's how much. Usually, when there's smoke coming out of a tube amp, that's a sign of serious trouble, but maybe, if we're lucky, we won't have to call a Death Cab for Peavey just yet. 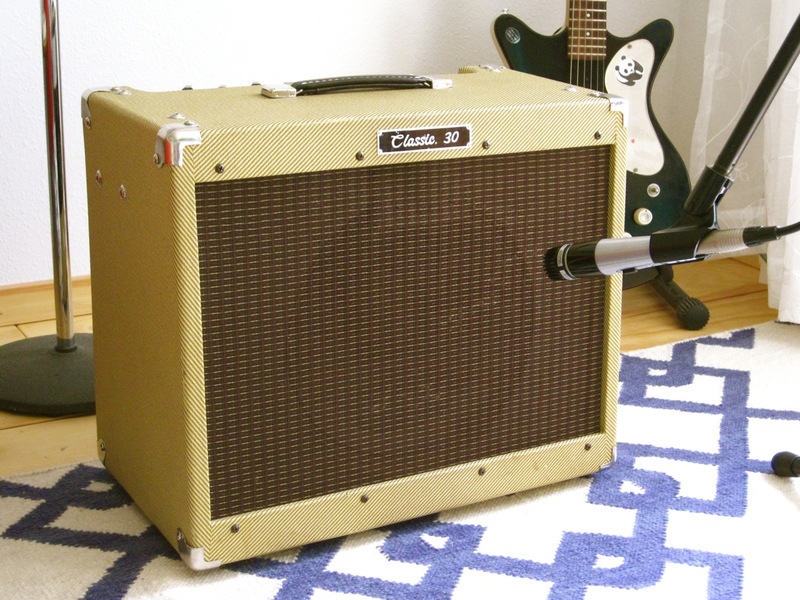 After reading Jeff's detailed blog post, and knowing from experience how well the Fender Blues Junior's tube retainer worked, I decided to give it a try in the Classic 30. Pretty slick! 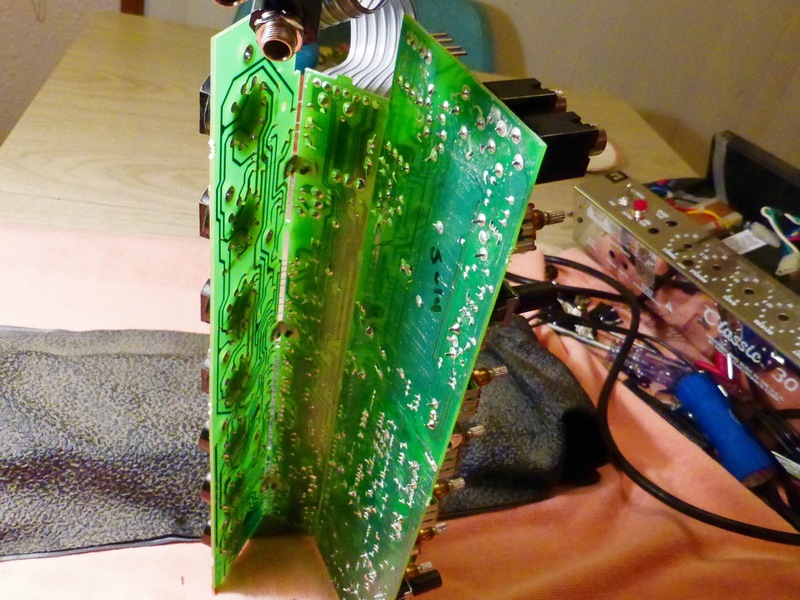 Looks great, but unfortunately it didn't help fix this amp's problems. After putting the chassis back in the cabinet, plugging into power and firing it up, it had the same symptoms as before. Okay, time to take a deep breath, have a beer, meditate a bit, then grab another brewski and dive back into the amp. Very surreal piece of abstract art. 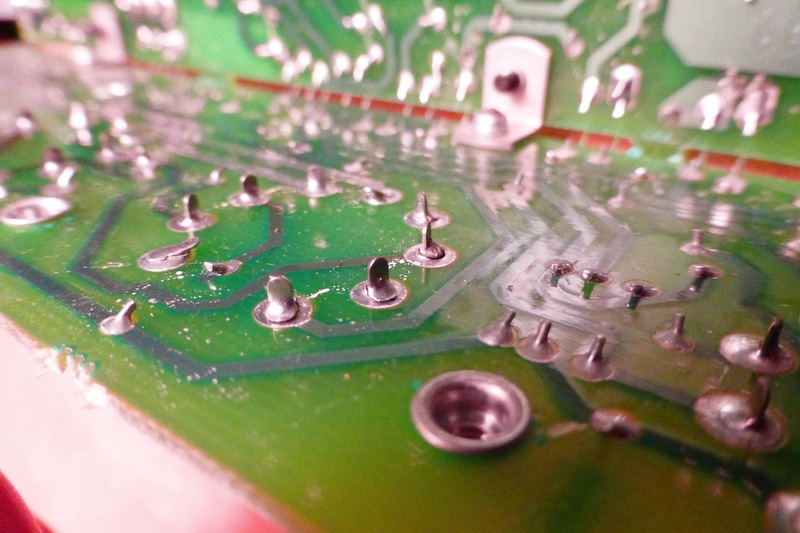 What holds the three sections of the circuit board together are the actual naked, uninsulated jumpers transmitting signal and voltage between the PC boards. Being mid-tensile steel, those jumpers can only be bent a very few times before they crack and fail. First, the top 1/3 of the folded board has to be bent down, so the control pot shafts can clear their mounting holes, before the whole assembly can be removed from the chassis. Then, we'll need to carefully bend the boards apart enough to service the circuit, and then re-bend them again closer, to position the pots under the control panel. Finally, the upper board, with jumpers, bends back up into its previous box shape when tightening the potentiometers in place - that's four bends during the course of one repair or mod. After that, there's probably not too much more bending left before the jumpers begin to break, and most likely that's a lot of stress on each of the solder pads where the jumpers attach. 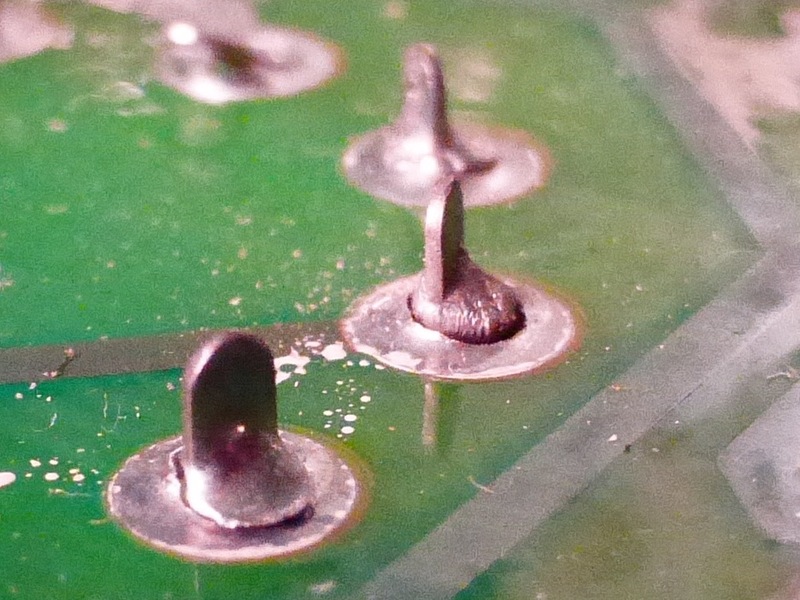 These aren't just dry or cold solder joints - they're separated, and a few of the terminals show signs of overheated and remelted solder, due no doubt to the arcing we'd heard. I dubbed the solder joint on the right "Vesuvius" - you can see that it had spewed molten solder in a wide area around it, very volcano-like. Also, the melted and cooled solder to the right of the tube socket terminal looks very much like a basaltic magma flow. 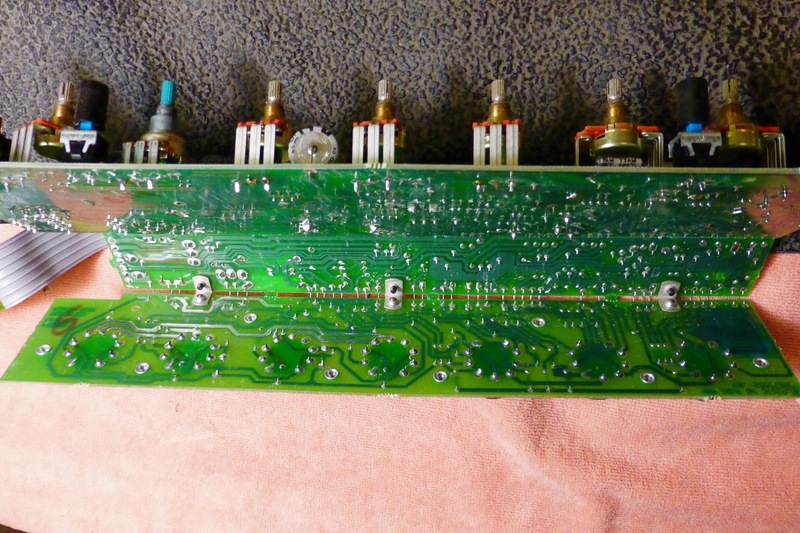 With a brand new tip on a 25 watt iron, and some old-school rosin core solder, I re-flowed all of the tube socket terminal solder joints, and also inspected every component lead and trace on each of the boards. Saw no other visible issues on the PC boards, and after scrubbing away the exploded solder-blob lava bombs left over from the output tube sockets arcing, I put it all back together and hoped for the best. A complete set of new tubes similar to what came with the C-30 when new, Sovtek EL84 outputs and 12AX7WA preamps, were popped in, the stock wire bales clipped over each (I didn't put the home brew tube holder back on), then plugged into AC power and flipped the switch. This time, the amplifier gods were smiling, and the Classic 30 came to life and played and sounded as good, presumably, as new. If the repair hadn't worked, I would have titled this blog post "Four Issues and a Funeral". 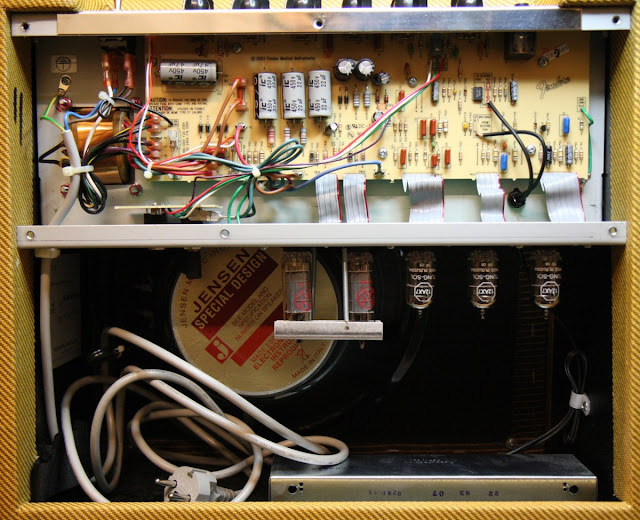 In case the C-30 was un-fixable, I thought of gutting the chassis and repurpose the amp with a hard-wired circuit such as a '50s Deluxe, but its heavy particle board cab put me off that idea. The only fitting alternative would have been a decent burial. * Update: Since the repair, this Classic 30 has withstood over 10 hours of jams and rehearsals, plus a few hours at home too - and I don't treat guitars and amps gently. So, okay! Well, enough about issues, problems, and repairs. Although the Peavey Classic 30 isn't rugged or reliable enough for on-the-road gigging or pro studio use, it's still a decent sounding stay at home guitar amp with very good built-in distortion tones. And as long as you don't throw it around too much, or take it on your next world tour (unless you hire your own amp tech), it'll probably keep making toneful music, in a home studio, or with the band in your garage, for a long time to come. 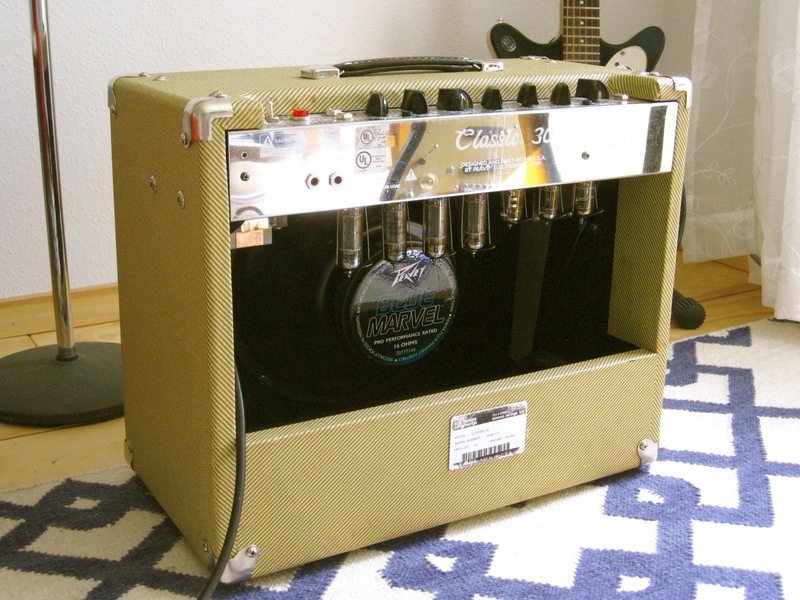 Just make sure to use the same sort of rugged Russian-made military spec tubes that the C-30 came with, and save those high-dollar old Mullard and Amperex tubes for your hard wired hand-made boutique beauty or vintage Twin Reverb.